Hello everyone! How is your Monday going? I hope it is (or was) a fantastic day :) I have been wanting to feature special awesome ladies on my blog (and did feature a few last year) and decided to use this Glad Monday to pick that back up. Over a year ago now I became part of the Blythe community, for those of you who don't know who Blythe is... I used to be one of you lol. Blythe is a doll and you can learn all about her in a quick Google search (Wiki article: http://en.wikipedia.org/wiki/Blythe_(doll) ). Long story short, I fell heart for this big eyed (and yes, big headed) girl. Since I joined the community I have met the most AMAZING people, it is a community full of some of the most generous women (and a handful of spectacular men as well, I must add). I've really enjoyed getting to meet online so many new friends and to find something new and completely fun to do with what very little spare time I have lol. One of the amazing ladies I met in this community is my dear friend Sue. 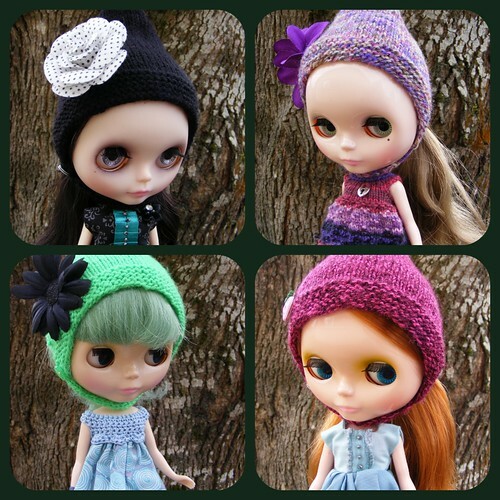 Sue creates sweet knit goodies for Blythe girls and has begun customizing dollies as well :). I asked Sue if she would mind letting me interview her and showcase her work here on my blog and she (being the incredibly nice and friendly lass she is) agreed :) First off, let me share the sweet hats she made for my girls! And now.... on to the interview! 1) Where and when did your obsession with creating things begin? I have always loved making things. When I was a child I wanted to be a jewellery designer and I spent most of my spare time drawing. After I left school I had a market stall and then a shop which was a nice outlet for some of the things I made. 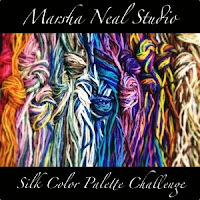 I have tried all kinds of crafts from beads to cards and painting to knitting! I find Blythe is a fantastic medium because there are so many different aspects to her. 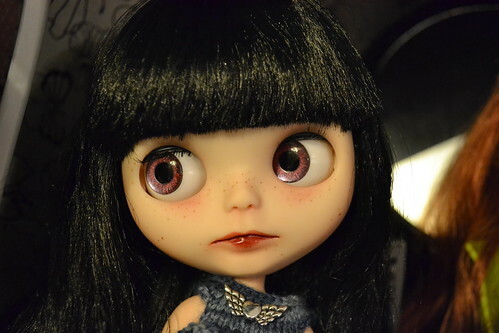 Customising Blythe dolls is definitely my new obsession! 2) What is your favorite fairy or folk tale and why? I don't know if this counts but my favorite short story is Ray Bradbury's "The Emissary". It tells of a housebound boy and his pet dog who is the boy's only window on the world. It is both haunting and quite creepy in true Bradbury style and has a nice twist at the end. If you haven't read it look it up! 3) Who is the most inspiring person in your life? Why? The most inspiring person in my life is my daughter Holly. She is almost 10 and is the brightest and most beautiful person I know. I am very proud of her and love her more than anything. It was really due to Holly that I got interested in blythe in the first place so I have her to thank for that too! If I could meet any famous person I think it would be JK Rowling. If I could be anything I would choose to be a writer and maybe she could give me a few tips! I think she is amazing and her wonderful books have made a whole generation of children want to read which is awesome! Imagine having created Harry Potter!! I would just like to sit and chat with her really. And maybe she could introduce me to Alan Rickman which would be a bonus! 5) How did you find Blythe? What drew you to her? I discovered Blythe by accident while looking for Monster High dolls on Ebay. I Googled her and discovered that there were thousands of amazing pictures of these fabulous looking girls on Flickr and was immediately hooked. I loved the endless possibilities of customisation and was fascinated by all the different things people did to create characters for their dolls. I wanted to be able to create these wonderful girls myself! To me a stock doll is like a white piece of paper, a blank canvas to transform into a brand new personality. 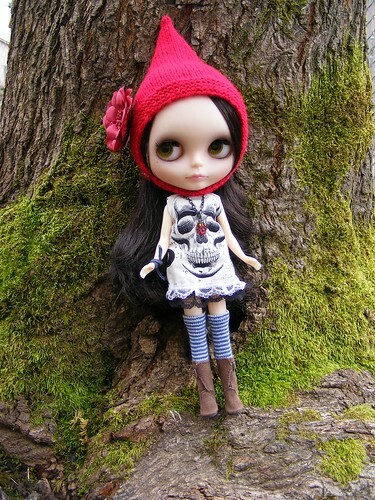 6) Which of your Blythes is your "mini me"? Which is the one you wish you could be? My mini me is probably Beryl, a Blythe clone girl with a bit of a punk/rockabilly style. She would need a lot of tattoos to be a real mini me though, perhaps I should give her some! I think I would most like to be Patty, my custom Guava steampunk girl. She has fabulous pink hair (which I used to have when I was younger) a sassy attitude and she travels in time with a laser gun and a cool hat! What's not to love?! 7) What is your favorite thing about where you live? Why? I love my home because it's my little haven and here I'm surrounded by all the things that inspire me. However, I don't love the cold, wet climate or built up surroundings much! I hope to live somewhere warmer and brighter someday. Hopefully someday soon. 8) What five things couldn't you live without? I could definitely live without my mobile phone, lol! 9) What is the best part about Blythe? About the community? The best thing about Blythe for me is the amazing friends I have made because of her and the outlet she has given me for my creativity. I have had a couple of bad years (I lost my mom last Easter) and Blythe has saved my sanity (well, some of it anyway) over the past few months. Since joining Flickr I have met some lovely people, you included Jenn! who I would never have had the chance to meet otherwise. It's so nice to share in others' lives through their dolls and their stories and to know that people like to share in mine too. It is a real community and I feel lucky to be a part of it. I also love that people love my dolls and the things I make. Yaay for Blythe!!! 10) Anything else you'd like to tell us about you? About your work? Have a fabulous week, everyone! I am a naughty blogger! I didn't make a post at all last week for my gladness or anything else! And now this one is very late *sigh* I will only say that three weeks with a sick six year old, five year old, and almost three year old begins to wear on a mama lol. I'll keep this very quick! 1) Jane Austen's novels. I honestly am not sure if I have a favorite, I love them all well... but I do think Lizzie is my favorite heroine. 2) Sara Bareilles, she has an amazing voice that just lets emotions free, love it! 4) Scotch tape... think about all the things it does! (Though arguably the silver stuff is more amazing ;)). 5) Rice. One of those staple foods that can be used in a bajillion ways and has saved me many times lol. 6) Rainbows. God's promise after the rain. Beautiful. Hopeful. Cheerful.